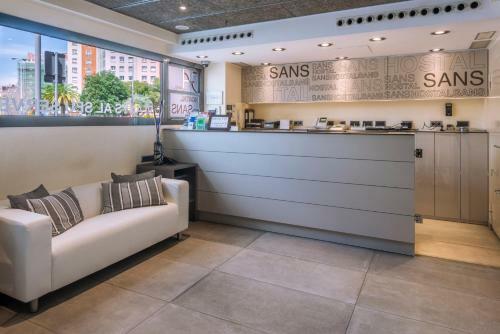 Set on Plaza de Sants, Hostal R. Sans is a 5-minute walk from Sants Railway Station and just over 1 km from Plaza de Espanya. It offers rooms with TVs, and a 24-hour reception. Each simply decorated room at Hostal R. Sans has air conditioning and heating. Free Wi-Fi is available in public areas, where there are vending machines. 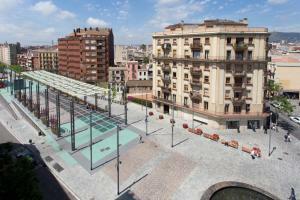 Restaurants, bars and cafés can be found in the surrounding Sants district. 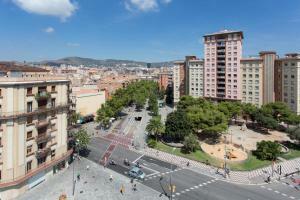 Las Ramblas and Barcelona’s Gothic Quarter can be reached in just 10 minutes by Metro. The nearest beaches are a 30-minute bus journey away. This simply decorated room has air conditioning, heating, a TV and a private bathroom. This simply decorated room has air conditioning, heating and a TV. There is access to a shared bathroom. Rate: € 65.55 ... € 92.83; select dates below to get current rates. 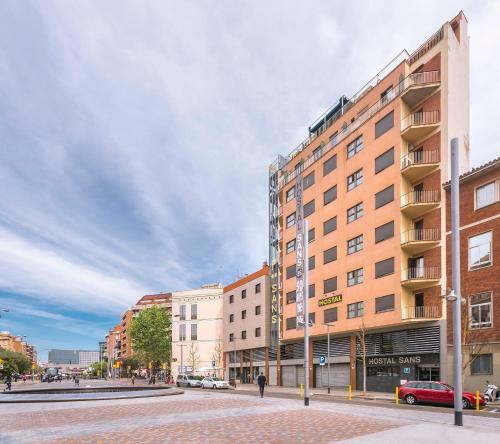 Rate: € 42.30 ... € 120.00; select dates below to get current rates. This suite features a hot tub, soundproofing and air conditioning.